1 Have your fishmonger debone and scale the fish, rinse thoroughly and pat dry. Peel the carrots, rinse and cut diagonally into slices. Peel the onions and cut into thin rings. 2 Preheat the oven to 150°C (approximately 300°F). Line a baking dish with carrots and onion then arrange the fish over the vegetables. 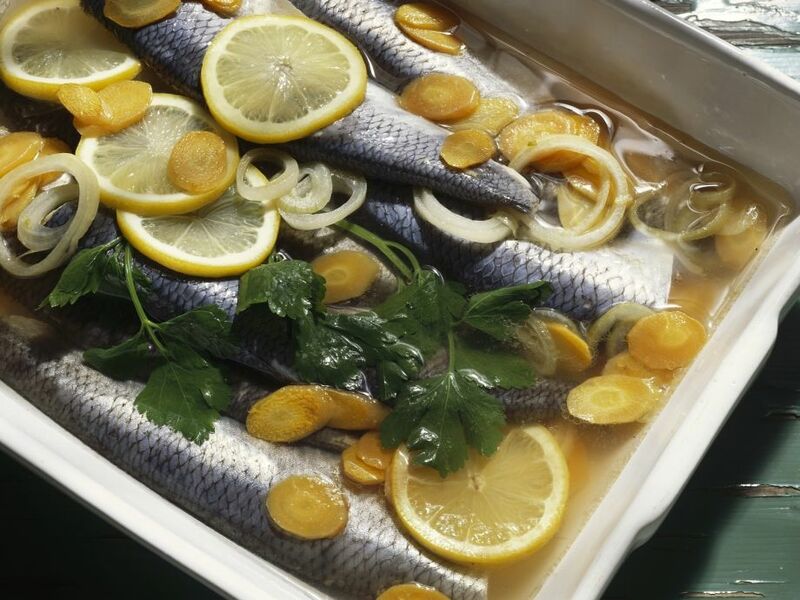 Cut the lemon into thin slices and layer over this fish along with the parsley. Bring the vinegar to a boil then pour over the fish. 3 Bake for about 30 minutes, basting often. Let the herring cool in the liquid then serve.